As important as our primary mission is, the construction of a building is just the beginning of what Autism Research and Resources of Oregon is about. 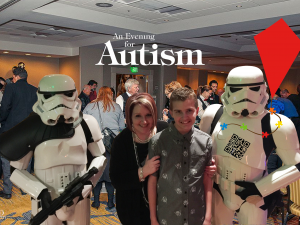 Over the years we have developed a variety of different programs and projects aimed at addressing some of the other needs experienced by the Autism Community. Our Autism Community is as diverse as humankind itself. Autism impacts the lives of people in every nation in the world, every race, every economic and social group, every political and religious affiliation. Such a diverse population also has an equally diverse set of needs. Over the years, ARROAutism has done what we can to help with some of those needs. Sometimes that has meant one time instances, like joining with other organizations, and helping to fund the lectures and projects, or pooling resources to help someone repair a damaged house. Other projects have had such a great demand that we have turned them into ongoing projects. We have been able to continue these projects on an ongoing basis by ensuring they are funded, and have people like you participating. Join Us today, and ensure our ongoing ability to help the Autism Community, in all of its diverse needs.